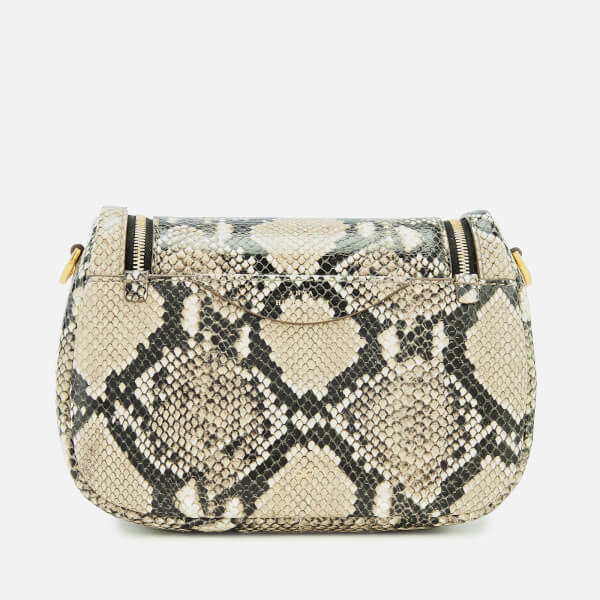 Scaly snake-print ‘Vere’ bag from British designer Anya HIndmarch’s eponymous bag and accessories label. 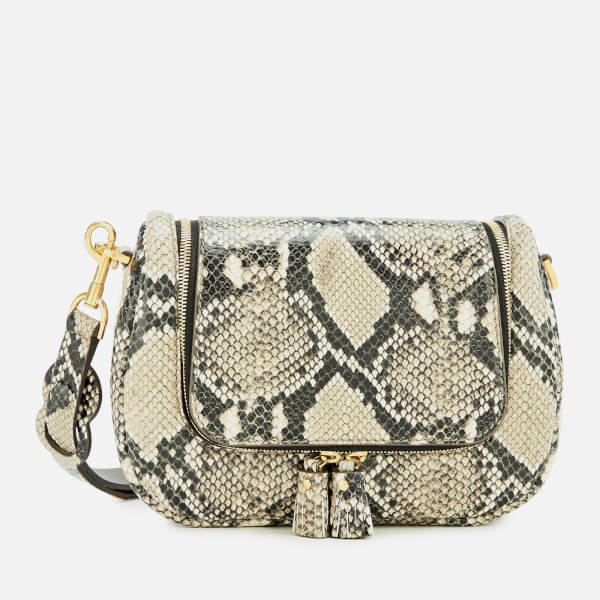 Crafted in glossy python-print leather, the bag features a compact design with rounded edges and a detachable convertible strap for shoulder or cross body wear. 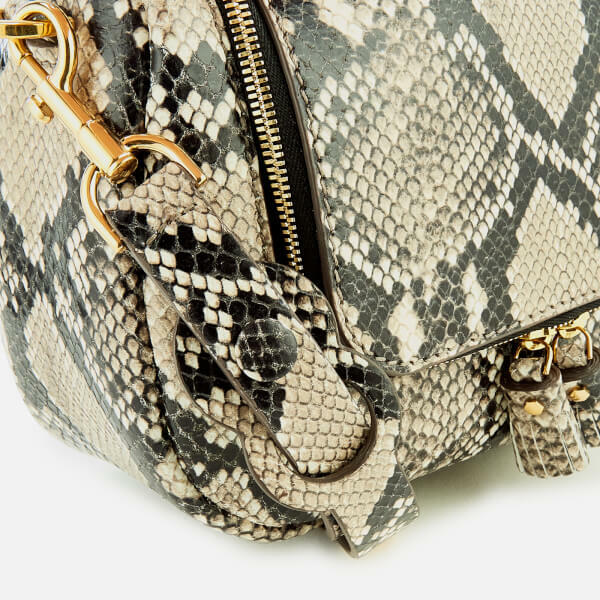 Dual-way tasselled zips open a top flap, which is further secured with a magnetic closure for convenience. 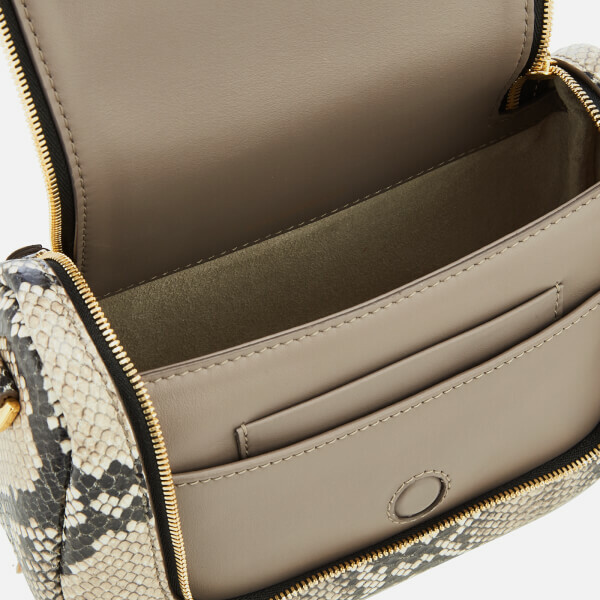 Lined with smooth red leather and grey suede, the internal features a main compartment and a front section with a built-in card slot and slip pocket. Gold-tone hardware and subtle foiled branding, including the brand’s signature appliqué metal bow completes the design. Protective dust bag included.